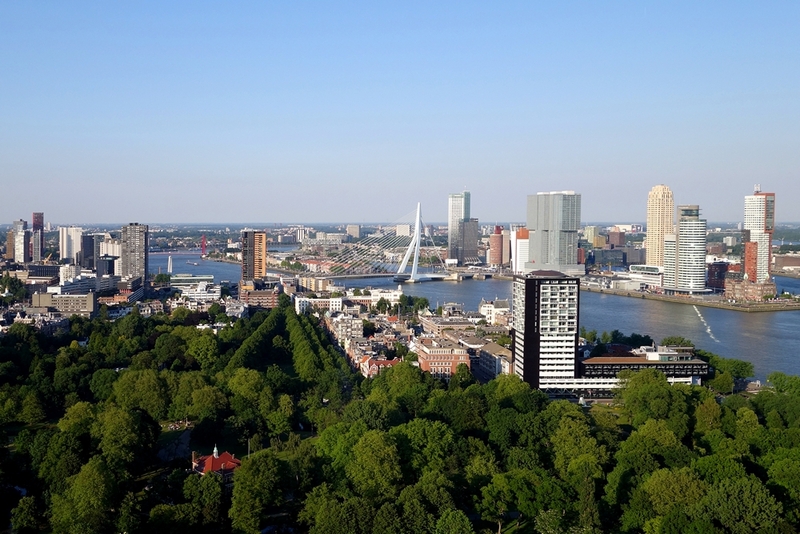 The Euromast is one of Rotterdam’s best public attractions for more than 50 years. To celebrate the upcoming weekend, we decided to go down town. But instead, the clear blue evening sky led us towards the Euromast, a city icon for more than half a century. In the sixties of the last century, the tower was by far the highest in Rotterdam. However, other buildings quickly caught up in the following years. In 1970 the addition of the Euroscoop meant another eighty-five metres up. This once again made the Euromast the highest building (185 meters) in the region, up to today. The last time we visited this city tower, was at least 15 years ago. But our blog is a good reason for renewed acquaintances. So, for 19 euros we bought 2 tickets and entered the building. The Euromast was built in 1960. It was intended as a public attraction, in honour of the first World Flower Exhibition. Architect Huig Aart Maaskant provided this Floriade tower with a replica of a ship’s bridge, where people were able to experience navigation of a sea-going vessel. This part of the tower was fixed at 32 metres. The crow’s nest, a steel construction of 240,000 kilograms, first was assembled at the foot of the mast. Then it was raised to it’s current position at 96 metres. From the start, the Euromast was not only a public attraction at height, but also a maritime landmark for the international seaport of Rotterdam. 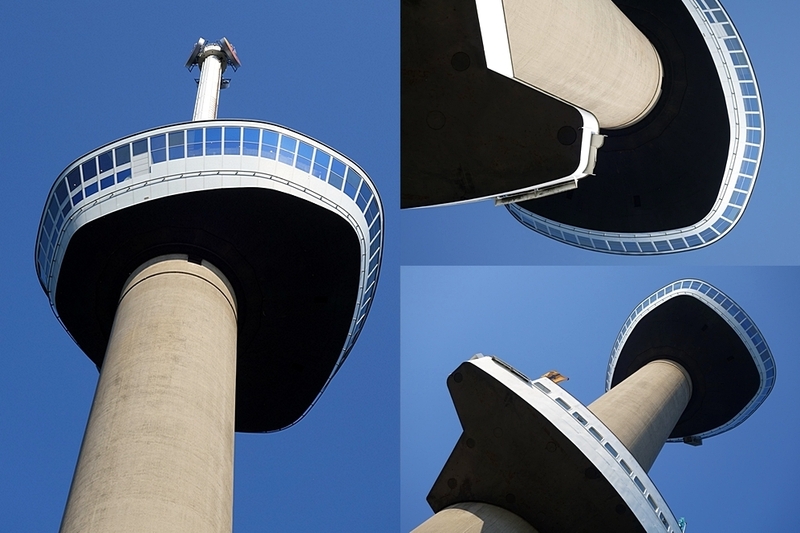 Thanks to the intervention of the Hotel New York Group, the Euromast ultimately got a complete makeover in 2004. Apart from the view, almost everything changed. Even the restaurant got a make-over. Interior designer Jan des Bouvrie created a nice spot for a cup of coffee, a lunch or a diner. We enjoyed a clear panoramic view, and a spectacular sunset. But even if you are more like a thrill-seeking person, the Euromast is the right place to be. 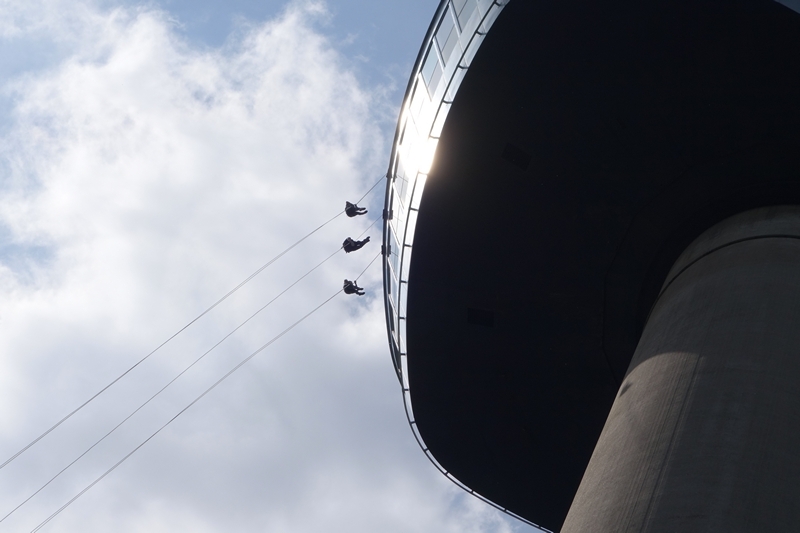 Explore your boundaries and try the heighest abseil and fastest zip wire in Europe. Good luck!